Would a drive shaft work in a bicycle? 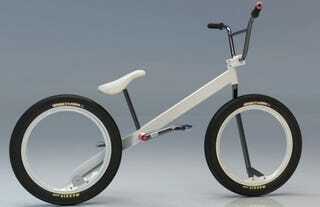 Possibly, and here's a BMX bike concept that takes the design and runs with it, sans hubs! The hubless wheels are a cool touch, I'll admit, but I have my doubts about whether the tiny driveshaft will replace today's venerable chain configuration.